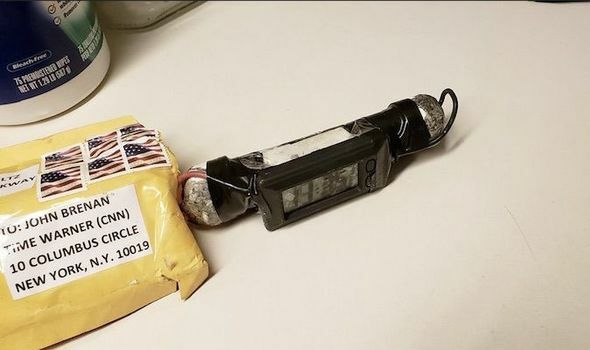 The other day we began to read of explosive devices arriving at the homes and offices of prominent Democratic politicians. The unknown bomber targeted two former presidents, a former Vice-President, a former Secretary of State, a former Attorney-General and a number of Democratic members of Congress. It was the largest attempted assassination of American political leaders in many decades. The President and his supporters, meanwhile, denounce their critics as a “mob,” view any press coverage that does not fawn over their leader as “fake news,” and characterize any criticism or questioning as “hostile.” Meanwhile, they practice a politics of marginalization: they stir up their almost entirely white base against the LGBTQ community, refugees, and the victims of sexual assault. They construct and nourish the false-equivalency that the actions of “Antifa”—yelling at public officials, hounding them out of restaurants, and in one instance tossing the Senate Majority Leader’s lunch—are somehow equal to the much greater violence of the Proud Boys, or the White Supremacists (“Fine People,” our President said) who murdered a woman in Charlottesville, or those who call for the imprisonment of their opponents, the silencing of dissent, restrictions on a free press, or violence. They lock frightened refugee children in cages apart from their parents. They do all that they can to suppress the votes of people of color in North Dakota and Georgia. Many of the President’s supporters loudly and proudly describe themselves as Christians. His support among self-described Evangelicals remains high and unwavering. I keep coming back to that. Too many people are choosing fear over compassion, a fear that rests at the black heart of the American republic. Nearly every semester at Geneseo, I teach the early portion of the college’s Western Humanities course, a “Great Books” course of the sort that many Conservatives used to appreciate, back when conservatives appreciated books and the universities where they were taught. At one time, we required students to take both halves of the course, which together carried them from the Ancient Greeks to the very recent past. Declining resources and changing academic fashion have combined to make that approach no longer sustainable, but we still do require that all students complete at least one of the two courses. In my section, we spend about four weeks, one-quarter of the course, working our way through the Bible. The students read Genesis and a chunk of Exodus. They read from the two books of Samuel and from Isaiah. From the New Testament the students read the Gospel of Matthew, portions of the other Gospels, and Paul’s letter to the Romans. I am not a religious person, in the sense of belonging formally to any organization, but I am a reader and a thinker who wrestles with the questions these texts raise. “WWJD.” I have seen that on those little rubber wristbands that people sometimes where. “What Would Jesus Do?” I look at our current politics, and our current leader, and see as the greatest threat to our republic not just apathy, not just ignorance about the theory and practice of American constitutionalism, but a stunning lack of empathy and compassion. We live a politics based on hatred and resentment and fear. No false equivalency narrative here. I‘ve asked my students to write essays based upon their reading of the Bible. I asked them to think about any political or social issue that they feel is important, that has raised questions that we struggle still to answer. What does the Bible say about that problem? The students will write about the environment. They will discuss empty consumerism, acquisitiveness, excessive ambition. But most of all, they write of the Bible’s call to believers to practice compassion at a level that is so radical as it is viewed as completely impractical today. But that imperative to show kindness to the stranger, to love not just your neighbor but your enemy, to seek out injustice and correct oppression, to free ourselves from our attachment to our material wealth and to love all, unconditionally—this has always been difficult, and it has always been impractical. So, again, “WWJD”? What would our politics look like were we to practice the compassion the Bible asks believers to show to everyone, regardless of who and what they are? I sense that we would not demonize those in the “caravans,” refugees from homelands where they do not feel safe, and dreamers yearning to breathe free and provide for their families. We would not warn of this approaching army, and attempt to convince our based that they are an invading army, a horde that our armed forces must stop. We would listen to and honor the victims, and not reward the perpetrators of violence against women. And children. Our leader would not try to exclude and divide and nourish the worst demons in our nature. He would not wink at violence, endorse through action and inaction white supremacy and anti-Semitism, and he would stop preying upon the poor. He is banking, I expect, on the possibility that we who are not in that growing circle of the despised will not show empathy or compassion. That we will be too busy, to wedded to the small computers we carry with us everywhere we go, from bathroom to bedroom and beyond. That we will not care, and that we will become convinced that we will lose if someone from the circle of the despised is elevated. Or that fearing retribution or criticism, we will stay silent. Judging by the events of yesterday, and the stuff I saw appearing on the Internet Machine, many of the President’s supporters do not believe that an extremist sent bombs to a few prominent Democrats, or that this is anything other than a Democratic plot, somehow, to make the President look bad. Perhaps they are not aware of how bad all of this looks already.